I did really like the cuff-finish on the sleeves. 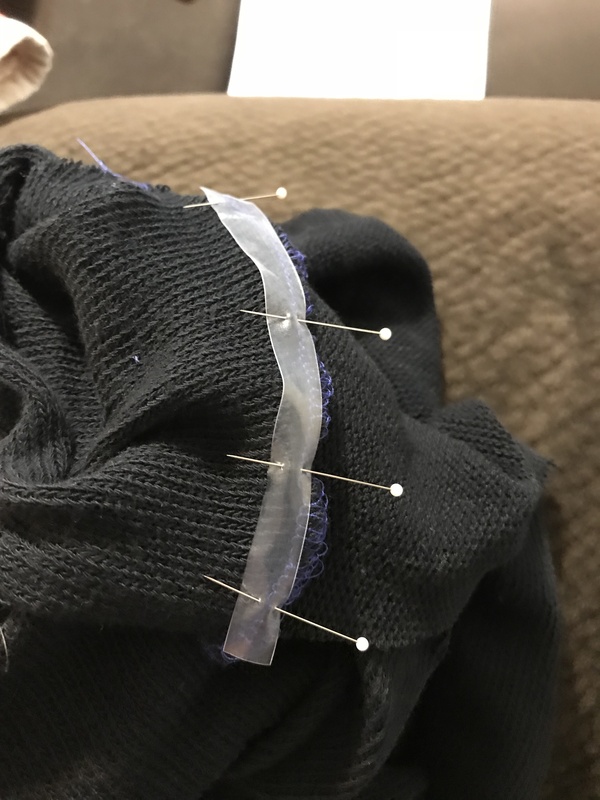 Since I don’t have a top-stitch machine, I always find that on my knit tops the sleeve hem is always the worst part of the garment. I’ve tried stretch stitches and zig-zags, but it still always feels slightly too stiff at the hem. 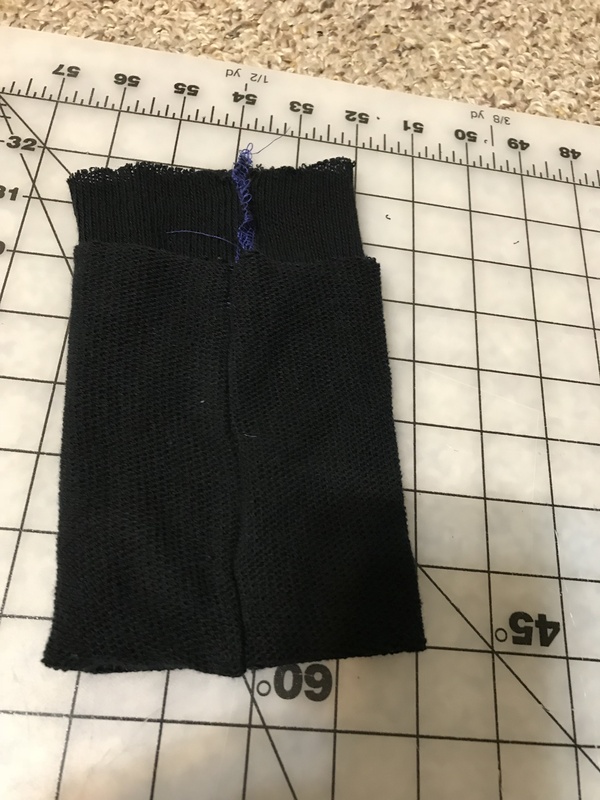 These cuffs, since I used the serger to sew them on, had just the right amount of give in them. No hemming needed. The cuffs…like most everything else on this sweater…were a little big. They could probably be trimmed down a bit. For a fast project, this sweater worked out well. 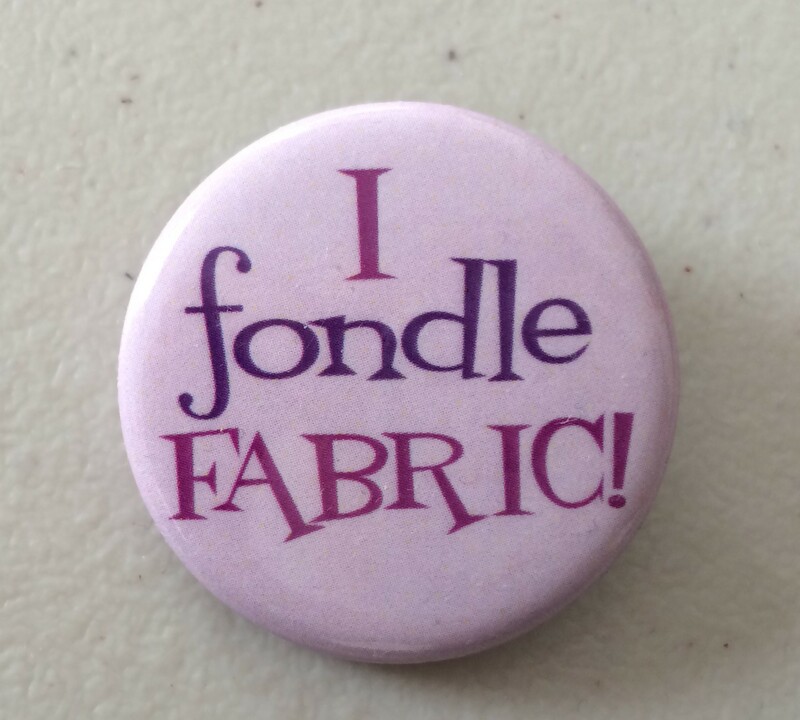 And I’ve even been keeping it at work for days when I need an extra layer in the office. Especially this month…brrrrr. 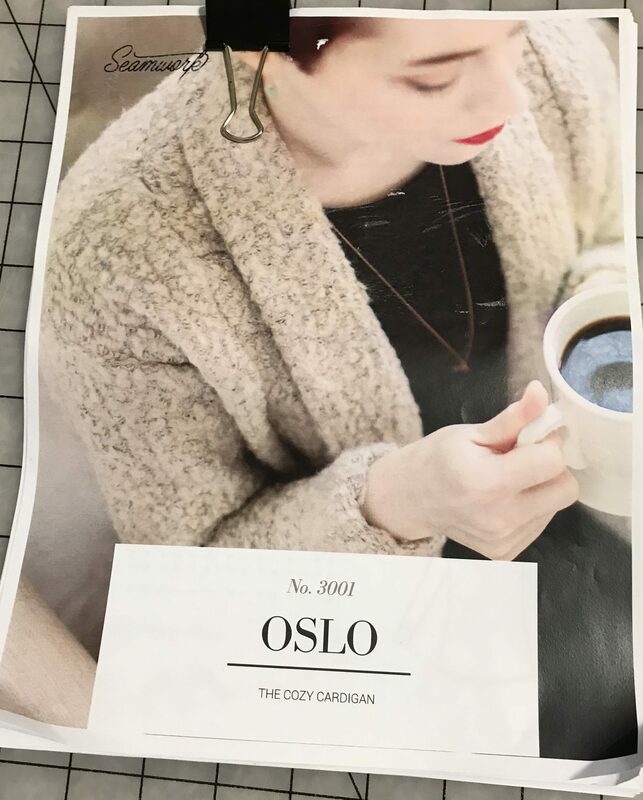 I would recommend the pattern as I really like the look of this cardigan. My only advice would be to pay attention to the fit of the shoulders. If I make this again, I will definitely adjust. What have you been making to combat the cold weather? Thanks for the tips! 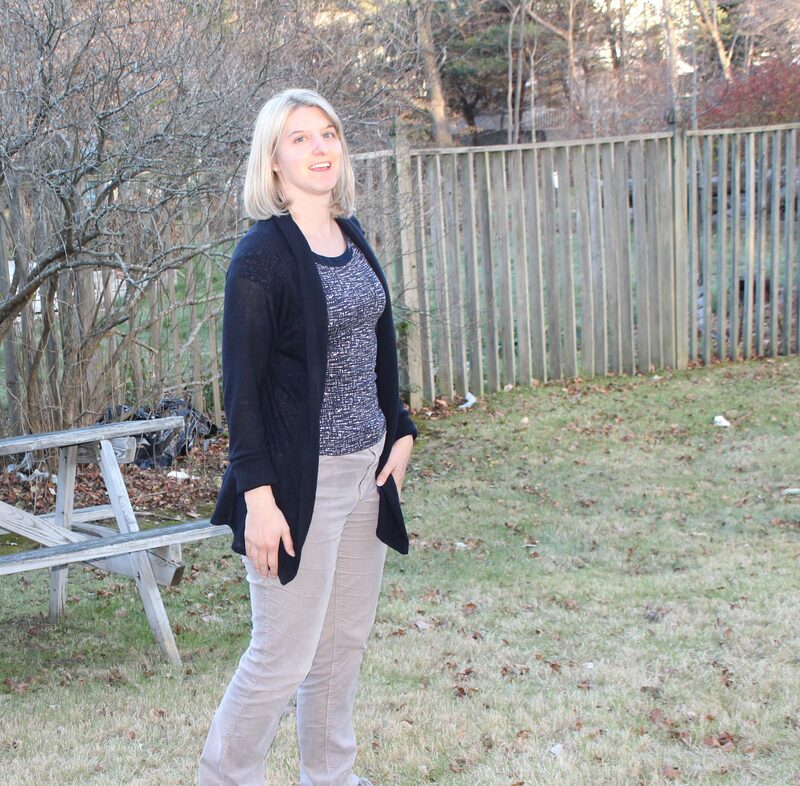 I actually haven’t made any new winter clothes – good thing I still have my me-mades from last winter!